Thornfield School hosted the visit and it involved our teachers and classroom assistants and speech & language therapists. Our Austrian colleagues attended with 3 participants and our German colleagues attended with 6 participants. From the start of our planning meetings and at the first exchange visit the atmosphere was very positive with all partners willing to share the responsibilities, our German colleagues agreed to manage the project website and our Austrian colleagues agreed with the reporting structures, having managed the website during our last project. Thornfield arranged a range of class visits for the group and afforded them the opportunities to see how we manage our communication support. During the visits the full range of classes were viewed and the group saw first hand the combined efforts of our teachers, classroom assistants and our speech and language therapists. Designated training sessions were also organised to show the group the specific programmes we use to support student communication, some of these programmes were commercially produced and contact details share across the partnership. Thornfield took the group to a world heritage site “The Giants Causeway” and shared a wide range of cultural interest sites with the group. Our partners seemed to enjoy this visit very much and we hope it will enable our partners to share these experiences with their own students to raise interest in exchanges with our students. The group also met and had lunch with the Mayor of Newtownabbey and Antrim he shared his own experiences with us recounting his recent visit from his counterpart in the Germany region of Munster. During the lunch hosted by the mayor he outlined developmental plans for the area and the regions aim to be part of a developmental hub which prioritises the area boosting facilities and commercial activity with funding from the UK government equivalent to 20 billion pounds. A focus took place later in the week on e- safety and Thornfield secured the services of Mr Brian Herron a retired police officer who gave a very detailed presentation to the group on the need to ensure students are using the internet safely, as he outlined the opportunities and the dangers. The focus of this training was to review social network platforms and to raise of the dangers and difficulties that can arise through misuse of social media. The intention was clearly that all our professional colleagues should be sharing this information across our school communities, including with the students themselves and also their parents. The training whilst startling and at times shocking certainly opened the debate on the need to try to protect our students and make them more aware of the dangers these communication platforms can present. The visit finished with a tour of historical Belfast enabling the group to share these experiences with their students upon their return, raising interest levels in the area and encouraging the desire to communicate and make links with their European counterparts. It also promoted a sharing of our common European traditions and builds bonds of trust and co-operation between all our students and professionals. 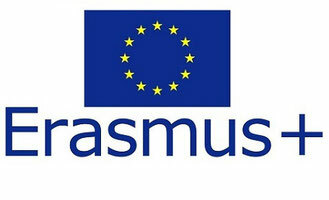 The visit finished with an agreement to continue the very positive start to our project and send written reports too Katherina within the next couple of weeks for inclusion on the project website. Our Austrian colleagues hosted this visit and organised a wide range of strategic approaches with a focus on Drama and Dance as a medium to enhance pupil communication. At our initial meeting we followed the set agenda which included an overview of the week`s activities and a tour of the school. This was followed up with a more detailed summary of the school development and the approaches used on a regular basis by our Austrian colleagues. As part of our project agreements we also review project progress at the start of each exchange visit. Mr Burns began this discussion outlining the successes we have made since the last exchange which included the construction of our project website and a review of the current pupil exchanges and communications. As part of our focus on improving the quality of our project further discussions took place on the teething problems we were encountering in exchanging communications. It was agreed that future communications would include correspondence would be signed off so that all recipients would know the source and author of any updates. It was also agreed that the drop box facility would be updated so that we could use it more effectively. There was also discussion on the need to follow the agreed itinery in our initial application to ensure the project remained on track and communications were continuing to improve and progress. It was further agreed that Torsten would be the contact point for inclusion earmarked for inclusion on the website. All our contact details were reviewed and any errors in the initial contacts list we adjusted. As the week progressed we were shown some of the wonderful work undertaken by the school through the medium of drama and how the services of a specialist drama teacher is put to good use for the benefit of all involved. Thornfield has a lot to learn from these structures and the benefits to the pupils self confidence and esteem were clear for all to see. It was also interesting to discuss the funding structures and mechanisms that are available in Austria to apply for outside expertise and source such expertise. At present these sources of support are not available to us in Northern Ireland but I will raise the issue with our own Education Authority next term. We also witnessed how dance is used to engage pupils and support their learning, self awareness and communication skills. The school put on a dance session for us all and the joy, enthusiasm and exuberance of the dancers was very obvious. Whilst we use dance in our own school we were very impressed by the level of its usage in Vienna and much discussion took place after that session as to how we could further develop it in our own school. As the week progressed we also learned about the support programmes available to all students whereby any difficulties that students were experiencing between each other could be resolved by staff and students trained in pastoral type support where students could sit down and resolve their differences within a 6 point arbitration structure. It seems to work quite well and improves the students skills in communication and also improves their self confidence. This was a very useful model and whilst we have a pastoral system in Thornfield it does not go as far as the Austrian structures and the additional training of students as arbitraitors. A further programme was presented to the group outlining various funded programmes available to the school with staff trained in developing student choices and a summary of the strategies used to improve student awareness and choices, again these programmes are applied for and if successful the school benefit from this input funded by the local education authority. Its benefits were apparent and all agreed it would be a useful structure to have available in all our schools. Class visit were also organised and we all saw first hand how staff relate to and support their students. It was note worthy that most Classes had 2 teachers present (no classroom assistant) and on one occasion three teachers (one student teacher). This support level was above the average level in our classrooms and viewed as being of considerable benefit to all students. There was also some discussion between the school Principals about the challenges of recruiting and retaining high quality staff, it was mentioned about the pressures of teaching in a large city with many students not completely familiar with the language. Our support services in NI was discussed and each country had differing forms of this type of support eg EAL services. This visit finished on the Friday, and all agreed it was an involved and useful week. We reaffirmed our commitment to follow our agreed schedule and all looked forward to our third exchange visit in March 2019 in Germany. Our March 2019 visit began in the usual way with an outline of the programme for the weeks events.Following this Torsten outline the structure of the German education system which was very interesting. It demonstrated the complexity of the system and clarified the autonomy of the federal states to structure and organise their own systems regardless of those that exist in other parts of Germany. However he demonstrated how this system was challenging for educators. parents and pupils if people were moving from one region to another with perhaps different structures and support levels in place. He also outlined the overarching system of elementary primary and post primary schooling. Whilst many of the challenges were similar to our challenges in regard to funding and the securing of additional resources their were also differences in the essential syatems when the teachers and schools in Germany were largely let in a position where the were responsible for assessing the pupils and identifying suitable provision. This system in the UK would generally involve the Educational Psychology Service and perhaps some others depending on the pupils needs. The project co-ordinator then spent much of the rest of the day reviewing our Project`s development since our last visit ( this is an agreed structure where the first day revisits our current position and progress and any issues for address to ensure we continue to meet our assigned goals. Staff exchanged pupils Easter cards to named pupils and it was agreed and additional Easter exchanges would be completed over the early part of next week as our German colleagues break for thie holiday 2 weeks before the rest of us. Other agreements included the sending of a life tree where the names of our pupils would be attached as leaves on the tree and this template would be shared across our partnership and displayed with our schools, much time was taken agreeing the detailed structure and arrangements around this joint effort but it was finally agreed with key link staff identified across all our schools. It was further agreed that we would develop a shared communication using the figure of a man where each school would be responsible for he creation of either the head, the body or the legs. When each school had their section they would design and create it as they saw fit expressing their own feelings and interpretation within their design. It is hoped that the finished work will reflect the various aspirations and interpretations of our pupils and will similarly be displayed within each of our schools. It was also agreed that these three strand of work would be completed by the end of June. E-twinning was then the focus of our attention and Mrs Kirk spent time demonstration the benefits of the e-twinning platform and how it could enhance our communications and add to the quality of our project. These discussions became quite involved and led to much debate across the group, Mrs Kirk outlined the staff that had currently registered for e-twinning and this came as a shock to many who had previously thought their registration was complete. It soon became clear that much time needed to be set aside to ensure any teething problems were ironed out. The Project Co-ordinator secured a time slot to complete all of these aspects on the next afternoon. The meeting closed just before 6pm and the group met for dinner in a local restaurant at 7 pm. On the second day fo our visit we were able to visit various classes to see first hand how our colleagues educated their students, I observed a very interesting concept where students that had limited German were educated within their own class until their grasp of the language was sufficient to enable them to participate with the other regular classes. Mnay for the children were from war torn areas of Syria and Afganistan, the class numbered about 12 students and most seemed to be progressing well and all were clearly enjoying their school. These students integrated fully during play times and were very much part of their schools overall focus. Whilst in Northern Ireland we do not have these levels of students from other countries it was helpful to see how our European counterparts were managing this challenge. The students seemed happy to engage with us and whilst quite young their grasp of English was already evolving. This was impressive and very reassuring to see how a multi cultural mix of staff and students could work so supportively. Later classroom observations included visits to classes with smaller numbers to focus on greater learming and intellectual need where teacher and classroom assistant worked in a very quiet and supportive way with about 5 students. The students were curious about our visit and attempted to engage with us as much as they could. This structure mirrored much of the support that we provide in Northern Ireland. After lunch the second day we revisited the e-twinning platform and all participants were able to successfully logon and there conncet with their project colleagues and others further afield, to share experiences create extended links and also to record details and work collaboratively across our 3 schools. Akey agreement was to ensure that our website lead would transfer central information our e-twinning platform to our actual website to demonstrate the content of our efforts and also enable other schools and educators to learn from our experiences. Our next area of focus was Makaton and Julia presented a very detailed and interesting overview of the Makaton system, this included workshops and time for groups to share and create messages and check on our levels of skill and expertise. The group enjoyed the training and for a project such as our with a focus on communication it is clearly helpful to demonstrate a range of communication approaches and techniques, not just for ourselves within the project but also for other educators seeking support or advice on these aspects. The workshop included useful links and sources of additional support. Day 3 offered participants the opportunity to visit a whorl heritage site north of Heide which preserved 8-11th century Viking habitation, we were able to visit the visitors centre, seem many wonderful exhibits and learn about the extensive travel that sprang from these settlements. Our tour guide offered us some wonderful knowledge and stories for these travels and challenges, siting how the Northmen colonised ares along the Volga river and Black Sea from these very selltelents and the range of trading and challenges the people would have faced. We saw first hand the remains of a Viking long boat (over 1000 years old, expertly restored and in a humidity controlled exhibition room. This visit sparked much discussion amongst the group and similarities were drawn with our current visit to these shores to view learn and exchange, albeit at at much less threatening and more refined level. Day 4 involved further teaching and classroom observations with some maths lessons available for visits, these lessons mirrored our own and included students keen to hear about our students and how they spent their days in Northern Ireland. It was useful to share this information and to talk about how we aim to connect our students and enable their understanding to grow through the exchanges about our common cultures, its similarities and its differences. The group also visited the Mayor of Heide in the municipal offices on this last day when he outlined how many areas within Germany have links with areas in Northern Ireland. Were counted how our own Council area is linked with the Munster area of Germany and the variety of exchanges and co-operation that exist between our areas. Following these visits and exchanges the participants met for a final dinner and reaffirmed our agreements on the cultural exchanges and work schedule for the coming months before the end of the school year. It was also agreed that we would aim to visit our partners for the second time at a different time of year and that our next exchange with return to Germany on Monday 23rd September. The exchanged closed with our friendships strengthen and having benefitted from much high quality work and development over the few days.